Shocking new Peter Beardsley details emerge – Disgraceful from NUFC & extremely worrying – NUFC blog – Newcastle United blog – NUFC Fixtures, News and Forum. The Daily Mail have confirmed that parents of SEVEN Newcastle United Academy players ‘demanded a meeting’ with the club in 2002 after raising concerns over Peter Beardsley’s treatment of their sons – yet the club failed to deal with their complaints and called them ‘troublemakers’ instead. These details come after Beardsley was officially ‘sacked’ by the club yesterday 14 months on from suspension after allegations of racism and bullying. As the snippet from the Mail’s shocking piece highlights below, the club not only allowed Beardsley to get away with this, but also lost several top youngsters as a result – with parents being ‘ignored’ despite several complaints; from both themselves and witnesses. The parents of seven Newcastle United academy players demanded a meeting with the club in 2002 to raise concerns about Peter Beardsley’s treatment of their sons, Sportsmail can reveal. It was confirmed on Wednesday that the Under 23s coach has left the club, 14 months after he was suspended following allegations of racism and bullying made by several academy players. However, Sportsmail has had exclusive access to files from the bullying case brought against Beardsley and then-academy director Kenny Wharton by three players in 2003. 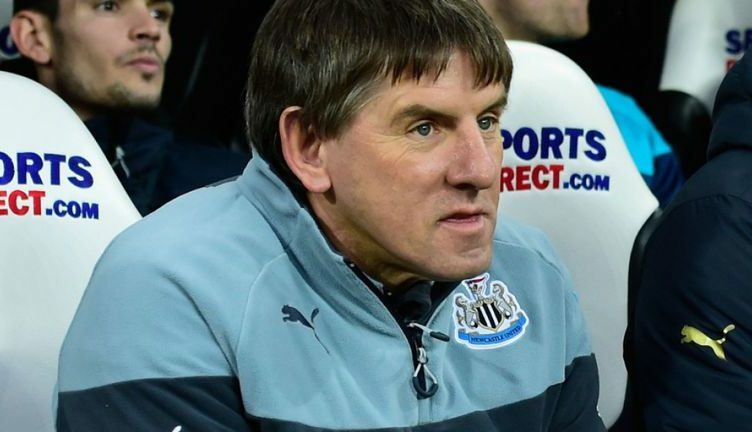 The club sided with the coaches – both former Newcastle stars – and supported them during a Premier League tribunal after players Ross Gardner and James Beaumont tried to terminate their contracts, citing unfair treatment by Beardsley and Wharton. Neale McDermott, son of Terry, the former Newcastle player and assistant manager, left for Fulham before the hearing. The panel upheld the club’s appeal against the notice of termination and Beardsley and Wharton remained in charge of the academy. The two players signed for Nottingham Forest. But during the course of the past year we have been contacted by several former players and parents who have detailed their negative experiences with Beardsley. Each made the same allegation – that the coach robbed young players of their confidence and happiness. It raises the question: Why were so many parents and players ignored in 2002 and how many youngsters will claim to have suffered in the 17 years since? England youth international Lewis Gibson left the club for Everton in 2017 because of his treatment by Beardsley. His family first contacted the club in 2016 to make a complaint, but no action was taken. A grievance meeting was later attended by the player and his family, as well as by Beardsley, managing director Lee Charnley and academy director Joe Joyce. However, it is understood Beardsley refused to accept he had done anything wrong and said he would not change his ways. Now we have uncovered details of the original case against Beardsley from 16 years ago. The documents describe the alleged incidents which led to the tribunal and includes witness statements from both sides, in which Beardsley admits apologising to one player after claims he called him a ‘thick Irish c***’. Beardsley, though, denied being a racist. A meeting with the parents/guardians of seven players took place at St James’ Park in November 2002 and was chaired by club secretary Russell Cushing and director of football Gordon Milne. All of those players involved went on to make Premier League or Football League appearances. The documents claim Beardsley had boasted in the days leading up to the meeting that the parents would be ‘put in their place’ and told that they ‘did not run the club’. The meeting – which became ‘heated’ – finished with Cushing and Milne saying that Beardsley and Wharton would remain in their posts. The parents left feeling that the club had ignored their concerns and that they had been made out as troublemakers. What an absolute disgrace. So not only were SEVERAL parents complaining, the club failed to deal with their concerns, leaving parents concerned and branded as ‘troublemakers’ and forcing their kids – and top young talents at our club – to find a new team. If anything summed up the incompetent nature of Newcastle United football club, it’s this. Failing to deal with key issues and being rotten to the core – and this is EXACTLY why we must keep Rafa at the club; someone who truly cares and shows the utmost respect to both players, fans and the Newcastle community. Rafa, Rondon & Diame all set to leave this summer – unless we see a major U-turn from Mike Ashley..
NUFC fan makes brilliant point when weighing in on the Shelvey debate – It’s hard to disagree..
West Ham fans absolutely disgraceful after news of Sean Longstaff injury – Embarrassing..
First of all I have to declare that I know Peter from our childhood, where we were both young footballers from Longbenton, and Peter as I had a tough upbringing. Now I also coach kids near London and most are fine, but some kids and parents have never been told, or will accept they are ever wrong, I have had quite a few kids, & parents throw tantrums when they don’t hear what they want to hear, and even had a couple of dads threaten of my young coaches for daring to tell their little darlings they need to practice skills more, give more effort, be fitter, or generally work harder to be a better player. I think there is a bit of six of one and half a dozen of the other here with Peter not understanding that kids and parents today are very different from even 10 years ago, and you have to change accordingly. Personally I believe that you must always be realistic and truthful with kids, while remembering if happy and confident they will perform better, the parents however are often another story..
It’s a sad fact of life that the snowflake era is upon us, and gone are the days of “banter” . I have been called far worse than a “thick Irish C***” by my trainers and bosses. It was said and taken in good humour without a trace of racism or “bullying”. I have no doubt that Beardsley is of the old brigade and the complaining kids of the new. I find it sad that the rather than toughening up the weaker segments of society the whole world now panders to those who can’t cope . Beardsley’s a legend, as far as I’m concerned no whinging snowflakes are going to change that. Sorry Brian but that’s a pathetic response to a man who has been REPEATEDLY accused of racism and bullying. If it was one person claiming it or a small group then ok, who knows, but is it not all adding up now? You can’t just call people ‘snowflakes’ and Beardsley a ‘legend’ because he was a good player. Who do I think I am? Just a Newcastle fan sharing my thoughts mate – nothing less, nothing more. Olly Hawkins: Sorry Brian but that’s a pathetic response to a man who has been REPEATEDLY accused of racism and bullying. Olly – you emphasised repeatedly, when maybe it should have been accused that was emphasis was placed on?. I think the line between racism and inappropriate is getting finer by the day, but the line still exists. My opinion (for what it’s worth) is that racists aren’t generally selective in their hatred – and as the likes of Andy Cole, Ruel Fox and John Barnes and afew others have spoken up for Pedro, I’m gonna say I don’t think he’s a racist. Inappropriate remarks are ok, depending on the circumstances – but this is the problem for Pedro. I think I’m the position he held, there would never be a when inappropriate comments to the young players he was responsible for would be ok. So for me that makes him unprofessional – not racist. As for being a bully – in this I agree with Billy the Fish. Some people don’t like being told straight – that doesn’t make you a bully. I think young players are overpaid and pampered, and they should go back to the old days when they were made to clean boots and such like. I think it’s all to easy nowadays to throw an accusation at someone and it stick. I also think that social media allows accusations to spread like wildfires and people don’t actually fully analyse or consider – and I think that’s very dangerous. A pity we can’t divide the country in two – let those old fkas who want to say what they like and smack seven shades out of each other without any consequence live in one (very nasty) half.